Cricketer-turned-politician Imran Khan, expected to be sworn in as Pakistan’s new premier next week, on Friday called for the resumption of dialogue with India on all outstanding issues, including Kashmir. Khan made the remarks during a meeting in Islamabad with Indian envoy Ajay Bisaria, who congratulated the Pakistan Tehreek-e-Insaf (PTI) chairman on his electoral success. 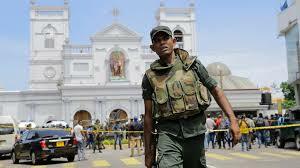 Bisaria briefed the “PTI leadership on India’s concerns about terrorism and cross-border infiltration”, said a statement from the Indian mission. PTI spokesman Fawad Chaudhry said Khan had called for the resumption of bilateral talks. “He (Khan) said if we won’t talk, how will we resolve issues. One incident of terrorism should not hamper talks,” Chaudhry said. A PTI statement said Khan “discussed the need to restart dialogue between Pakistan and India on all outstanding issues, including Kashmir”. 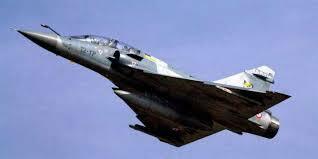 He expressed concern over “human rights violations” in Kashmir during the 30-minute meeting. Khan also expressed the hope that the Saarc Summit will be “held soon in Islamabad”. Islamabad was to host the summit in November 2016 but it was cancelled after New Delhi decided to stay away from the meet following a string of attacks blamed on Pakistan-based terror groups. The PTI statement quoted Bisaria as saying that Prime Minister Narendra Modi’s phone call to Khan had given rise to “new optimism in India that relations would move forward positively”. Khan welcomed the positive message from the Indian government and “reiterated his hope for both countries to move forward for the betterment of the people of the subcontinent”. The Indian high commission’s statement said Bisaria discussed “a range of issues focusing on prospects of the India-Pakistan relationship”. 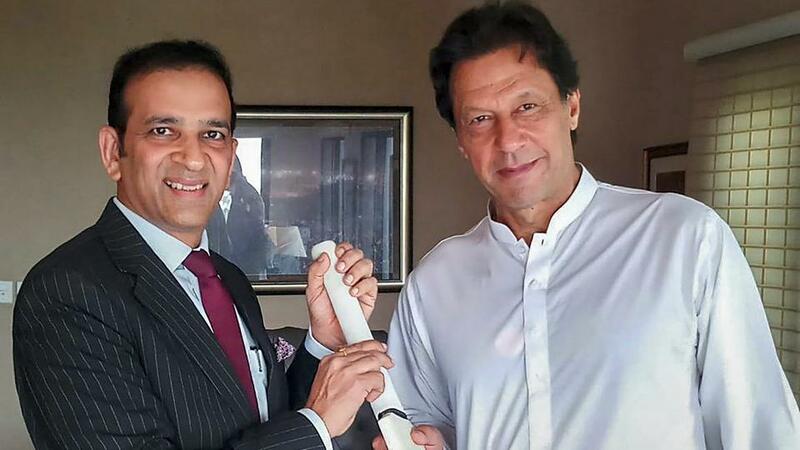 Bisaria also presented Khan a cricket bat signed by the Indian team. Senior PTI leaders, including vice chairman Shah Mehmood Qureshi, spokesman Fawad Chaudhry and Shireen Mazari, were present during the meeting held at Khan’s residence at Bani Gala. 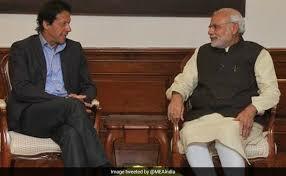 Modi had congratulated Khan during a phone call on July 30 and said India desires progressive relations with Pakistan. Modi also reiterated his vision of peace and development in the neighbourhood. Khan had said in response that both countries should move towards conflict resolution. “Wars can breed tragedies instead of facilitating resolution of conflicts,” he was quoted as telling Modi.